Very honest, clean job, and punctual, they were reliable and they did a great job with the installation. I just liked Calvin. He showed up on time, he was very honest, and he was very reasonably priced. He didn't try to rip me off and he did it in a timely manner. He even did it sooner than he said he would. It was pain free. Calvin was very good. He told me he would finish the whole house in a week and he did it. 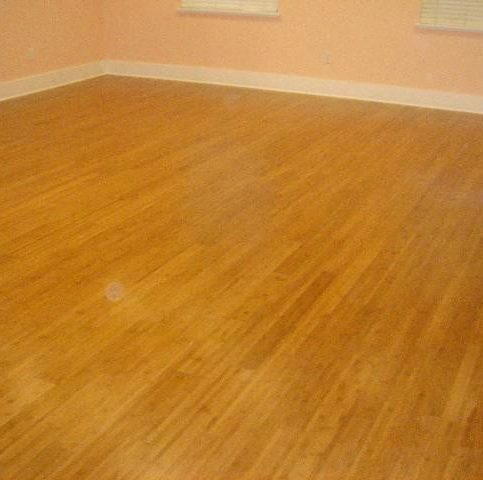 Calvin was very professional, knew exactly how to refinish my hardwood floors. I also liked how responsive he was. He called me back the same day I called to inquire about his services and made an appointment to come to my home the very next day. I really liked him. Calvin was extremely professional and cleaned up after himself. He let me know what time he was coming and was on time. I like the way the floor looks. I am very pleased with how it turned out. 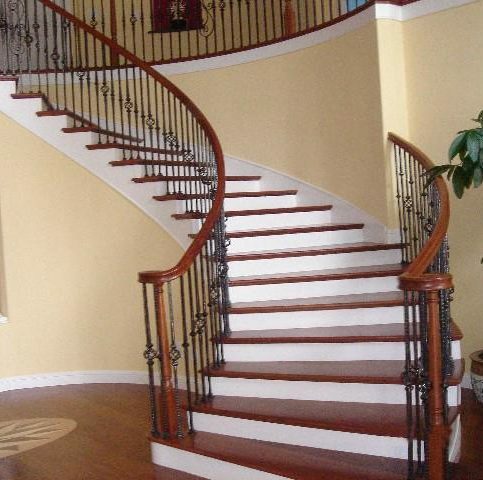 C H Hardwood Floors installs, refinishes, repairs, cleans, and maintains hardwood floors for residential and commercial clients throughout Santa Clara County. 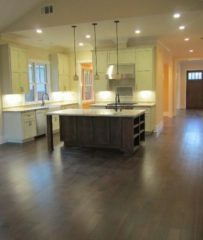 The company offers an extensive collection of flooring materials, including hardwood, laminate, bamboo, and distressed and exotic wood, all of which can be installed with custom inlays, feature strip borders and other modifications. 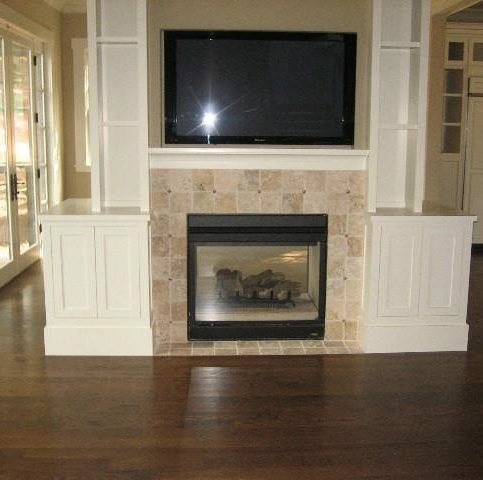 C H Hardwood Floors recently installed this flooring in a customer’s home. 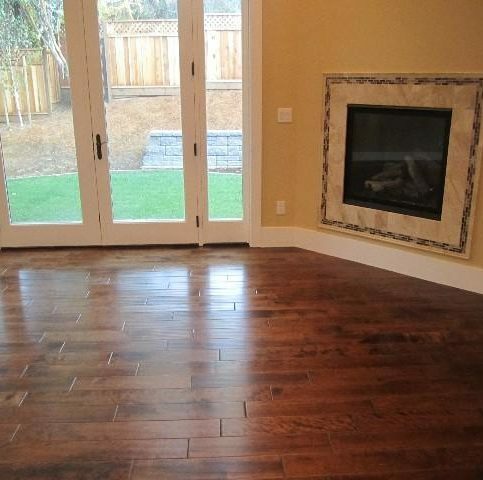 C H Hardwood Floors has been installing, refinishing, repairing, cleaning and maintaining hardwood floors for residential and commercial clients throughout Santa Clara County since 2005. The company offers an extensive collection of flooring materials, including hardwood, laminate, bamboo, and distressed and exotic wood, all of which can be installed with custom inlays, feature strip borders and other modifications. Another distinguishing feature of C H Hardwood Floors is the unique approach it takes to each hardwood flooring installation. 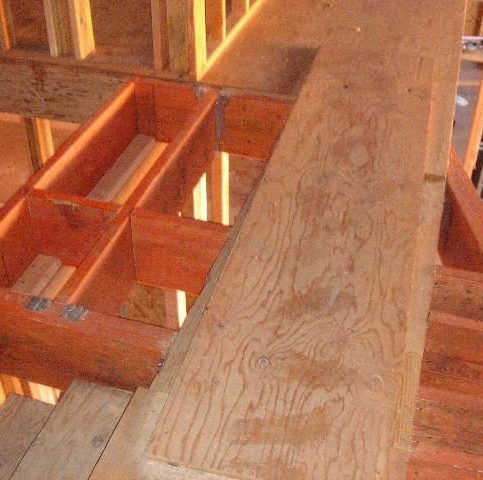 Instead of simply putting down the new floor, the company first checks the flooring foundation for any flaws (including squeaks and termite damage) and makes sure every board is stable before moving on to the finishing process. “This way, we can repair flaws before they become major problems and provide each customer with a better finished product,” says Mr. Hoang. Clean floors regularly. Sweep, vacuum (with a brush or felt vacuum head) or dust mop floors on a weekly basis. In high-traffic areas or homes with children and pets, you may need to sweep or dust mop more often. As a general rule, if you see dirt or feel it underfoot, it’s time to sweep. This will keep dust, sand and other debris from collecting and grinding into the floor, which can dull the finish and permanently scar the flooring. Protect high-traffic areas. Place throw rugs, floor runners and area rugs in front of doors, seating areas and other places that receive high amounts of traffic. Constant wear can dull the finish and strip the wax from wood flooring, which can make the floor look old and permanently mar the surface. Rugs should be made of breathable material and not backed with plastic, foam or rubber, as this can trap moisture and discolor wood floors. • Trim pets’ nails regularly to keep them from digging into the flooring. • Place plywood or plastic lifts under heavy appliances and furniture. • Use furniture leg pads under dining room chairs and other hard-legged furniture. • Don’t roll heavy furniture or appliances across the floor. • Replace narrow furniture rollers with wide rubber rollers that are less likely to dent or damage the floor. • Don’t walk across hardwood floors wearing stiletto heels or shoes with missing or damaged heel taps. • Put slip-resistant pads under rugs to avoid a gradual sanding effect. Control home temperature and humidity. Humidity can cause hardwood floors to swell, which makes them more susceptible to damage, so try to keep your home’s relative humidity between 35 and 55 percent. Use your air conditioner on hot, humid days to keep the humidity low inside your home. On dry days, you may need to use a humidifier to prevent shrinking. Wood stoves and electric heat can remove humidity from the air, so be aware of this when heating your home. Use the right cleaning products. Ammonia-based cleaning solutions, wax products, harsh detergents, bleach-based solutions, oil soaps, acidic cleansers, vinegar and abrasive cleansers will damage hardwood floors and should never be used. 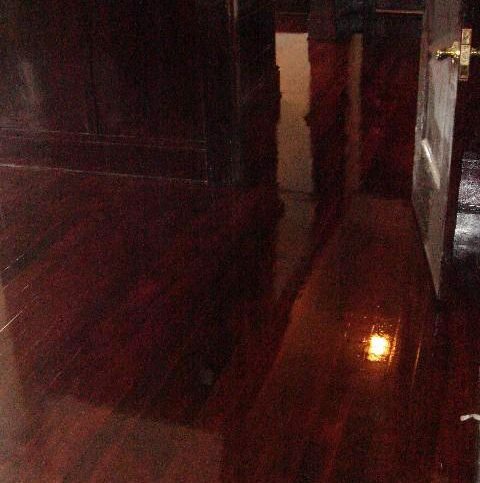 Only use specialty hardwood floor cleaners recommended by your hardwood flooring manufacturer. 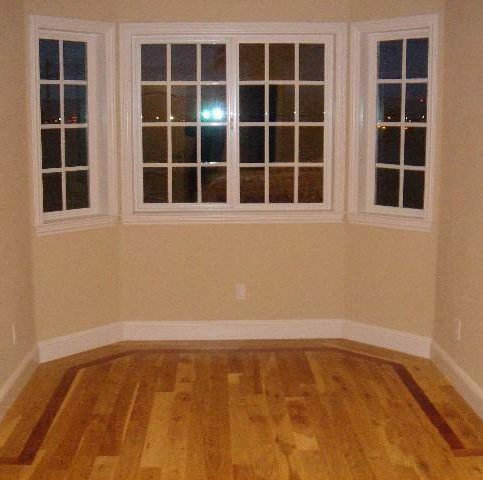 Q: How do I choose the best hardwood floor for my home? A: There are many different factors when it comes to choosing a hardwood floor, including wood species, thickness and size. We’ll take all these variables into account when helping you decide which flooring is best for your particular needs. For example, if your house was built in the 1940s or 1950s, the original flooring is probably face nailed, which means it’s only 5/16-inch thick. 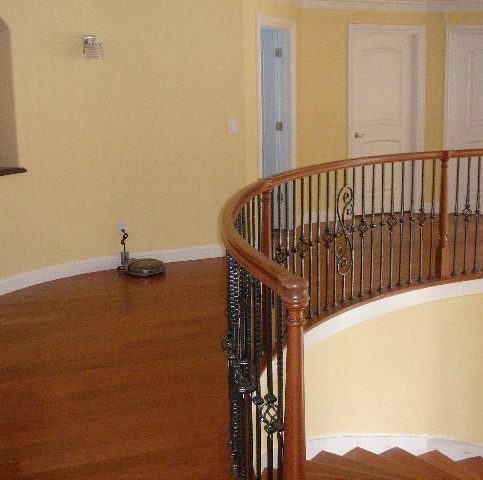 In this case, we’d go with a thin type of flooring to blend in with the house. Q: Do I need to move my furniture before the installation? A: Yes, you should remove all furniture from the rooms where we’re installing new flooring or refinishing existing flooring. If you need help moving furniture, we can help for a small charge. Q: Can I stay in my house during the flooring installation? 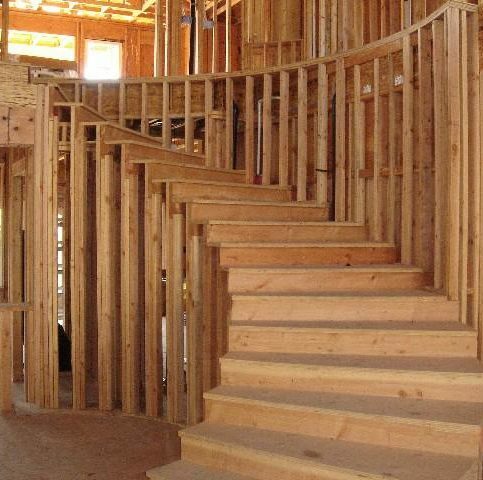 A: Yes, you can stay in your house if it’s a prefinished or unfinished flooring installation. However, if it’s a small- to medium-sized refinishing job, we usually recommend staying with a friend or family member for three to five days, because the dust and smell might affect you. Q: Will you remove the old flooring and clean up when you’re done? 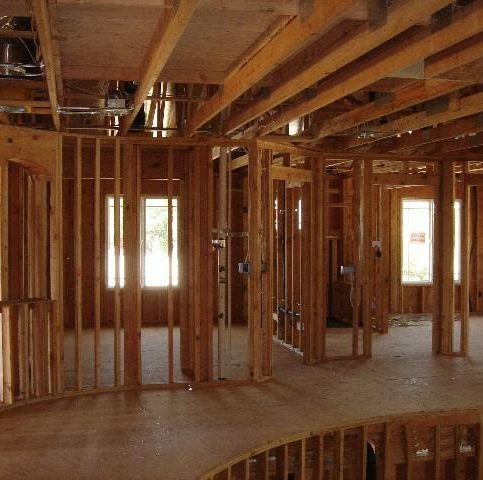 A: Yes, we’ll take care of demolition and debris based on the contract. 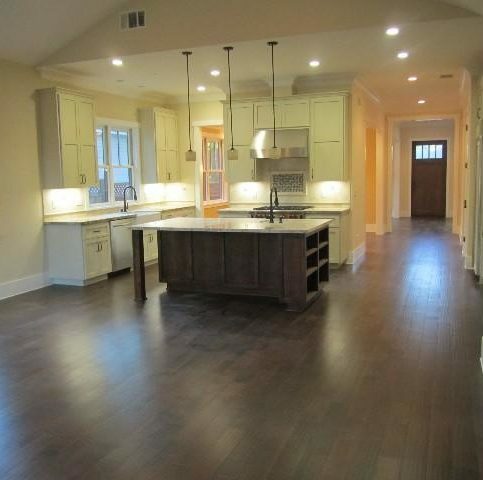 Q: How do I wash my new hardwood floors? A: You’ll need to buy a hardwood floor cleaning product. Don’t use water to clean your floors. Q: Do different flooring companies have different manufacturers’ warranties? A: Yes. Most companies offer manufacturers’ warranties that cover products for 20 to 25 years, but that can vary depending on the type of flooring and the manufacturer. 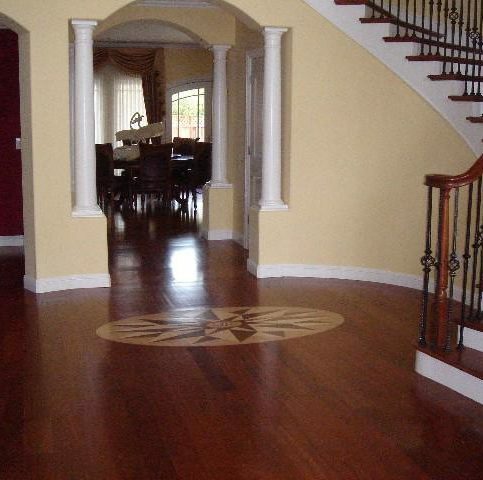 C H Hardwood Floors recently installed the hardwood flooring in this foyer. 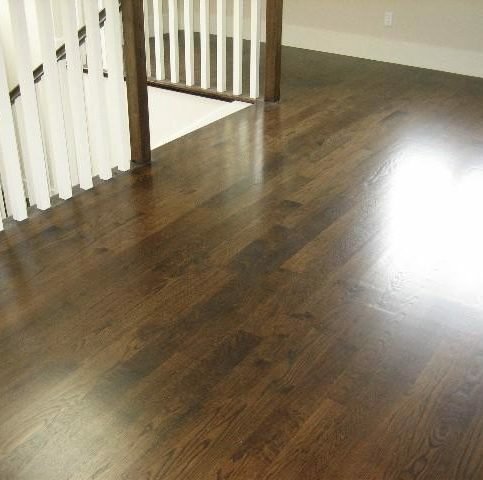 C H Hardwood Floors installs hardwood flooring in all types of hallways. 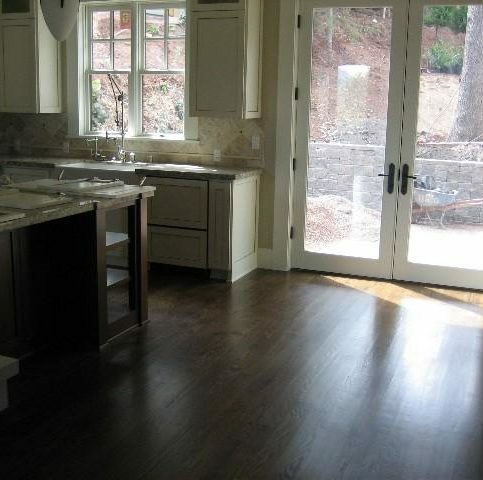 C H Hardwood Floors recently installed the hardwood flooring in this kitchen. 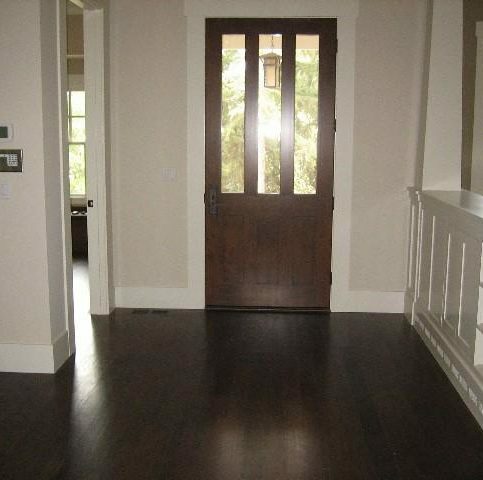 C H Hardwood Floors installed the hardwood flooring in this entryway. 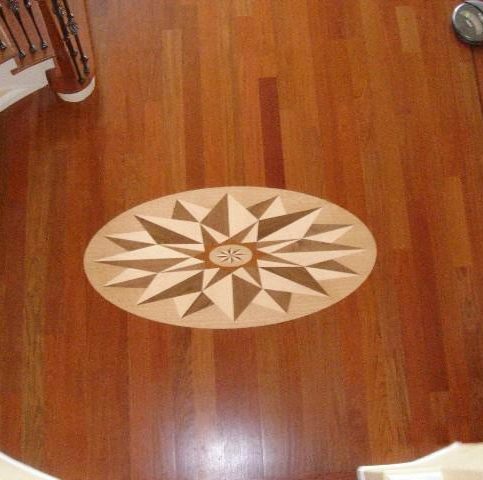 C H Hardwood Floors can also install inlaid floors. 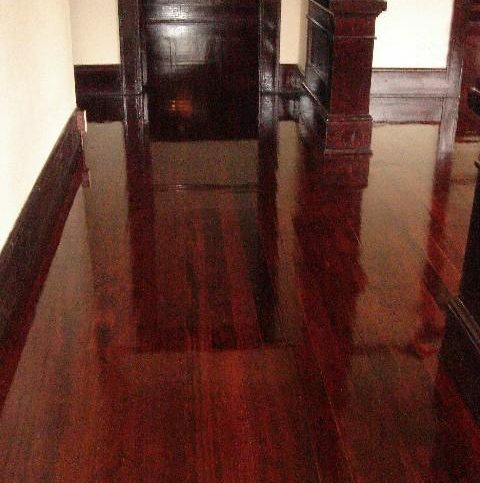 Calvin Hoang is owner of C H Hardwood Floors, a Diamond Certified company since 2011. He can be reached at (408) 785-9860 or by email. A: Vietnamese…but I also love pizza. A: Electronics. I like to find the latest gadgets on Amazon—basically anything new or unusual that comes out. SAN JOSE — A commonly asked question about hardwood flooring is whether solid or engineered wood is a better choice. Each has its advantages—solid hardwood is durable and allows for customized color and design, while engineered hardwood is affordable, easy to install and moisture-resistant. However, when it comes to long-term value, solid hardwood remains the undisputed champion. 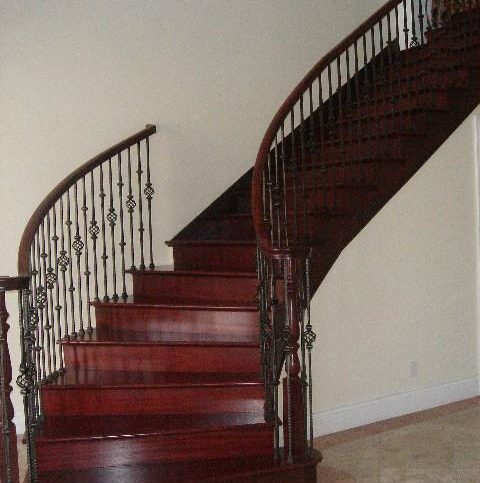 The main thing that makes solid hardwood a better long-term choice than engineered hardwood is its extensive lifespan. Even at 50 or 60 years old, many solid hardwood floors are still going strong, and some have even passed the century mark. What’s more, even when a solid hardwood floor appears to be in poor condition, it often takes a mere bit of refinishing to make it look new again. Speaking of refinishing, another valuable attribute of solid hardwood flooring is the fact that it can be refinished multiple times. Since engineered hardwood flooring only has a small layer of real wood on top (the rest is usually high- or medium-density fiberboard), it can only be refinished once or twice at most. After that, if the condition of the floor declines, the only option is to replace it, which is far more costly than refinishing. 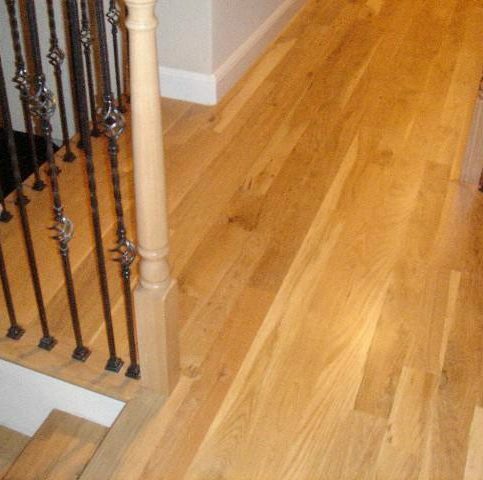 A hardwood floor is an expensive investment—usually in the neighborhood of $15,000 to $20,000. Considering the expense, it’s wise to invest in a product that will go the distance rather than one you’ll have to replace in another 20 years. Engineered hardwood may be an affordable short-term solution, but if you want maximum long-term value, solid hardwood is the way to go. C H Hardwood Floors : Average 9.5 out of 10 based on 191 unique customer surveys of customer satisfaction. That he did a great and careful job and his charges were very reasonable and he even did some extra work that he hadn't planned on. I was extremely satisfied with him. Just his knowledge and quality and care and he left the place spotless and he is a nice guy and his prices are reasonable. He finished the job well and their output was good. Probably just the fact that he did the job so well and it was well priced as well. The quality is great and it is an honest business. The quality is really great and my family and I are really satisfied. More specifically, it was done professionally. He was very accommodating and he had a tight schedule, but he was able to fit me in. It was great. He showed up on time and gave me options for the stain colors. I think he went out of his way to make sure everything was done really well and he came back to help us out when somebody else damaged the floor. He was very responsive, very upfront, and he did everything he said he would do and more. He was very professional and meticulous. He was able to fit me in really quickly. That Calvin's work is excellent quality and he is a reasonable person to deal with and he is easy to work with. He is an honest person and good to work with. That it was so easy and they looked like new again and they went in and did the job and took care of any problems without talking to me. He just handled it. That it was convenient, it was reasonable, and they had wonderful service. 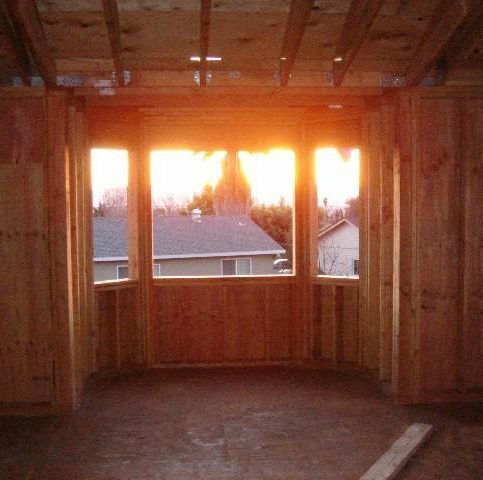 They are very professional, they do a great job, and they have competitive prices. They know what they are doing and he did a beautiful job. He was on time and very professional. He knows his stuff, he did such a beautiful job on my hardwood floors. He was very professional and he explained all of the options very well. Very reliable, and they do good work. It was just very easy to communicate with the owner and when I was stressed out about the color, he was patient and accommodating. The quality was great and dealing with the owner was great as well and it was easy to communicate and I don't have any complaints. He was responsive also. Don't walk, run. He is great. He was in and out and he was clean and there was no dust in my house and he was on time. He is very good about estimating time and he is accurate and he works very hard and he is very detail oriented and he is very easy to work with. He works with the customer's requests to come up with a solution. He is very friendly in working with the customer. They did a great job, and he was a really nice guy. I thought he did a great job at a very fair price and delivered exactly what he committed to. Just the whole experience, he was very much in contact to say here's what we're going to do and the time it's going to take, so the output met the commitments.